Barrel-aged wild ales and sours have taken Québec by storm over the last few years, and I for one am more than happy to be one of this province’s guinea pigs. When breweries gain experience, their experimentation becomes tighter. 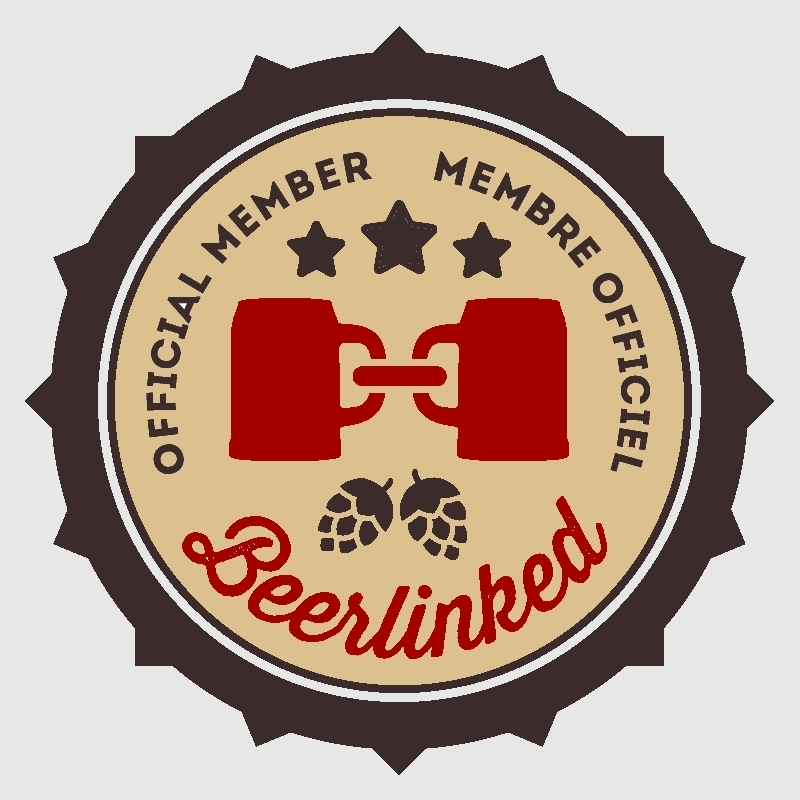 As a result, innovative beers that are not only interesting – but also extremely well executed – have now become the norm. 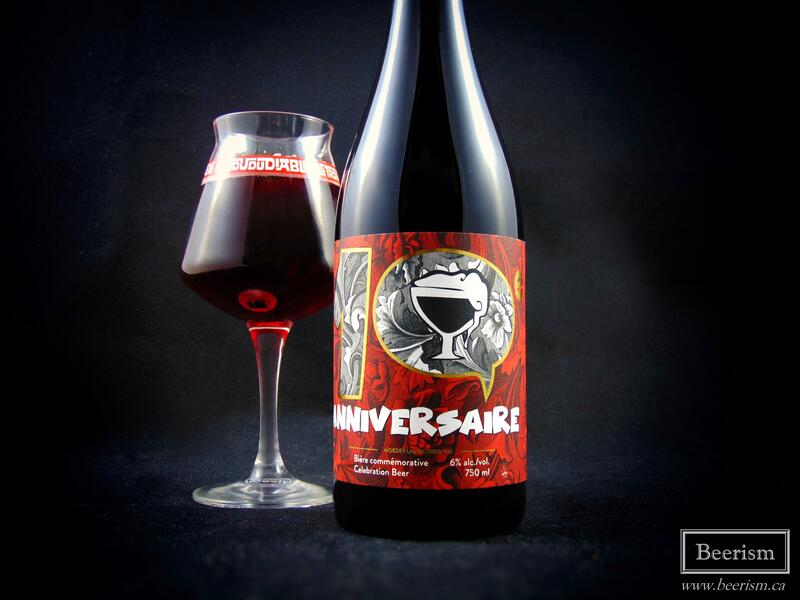 It’s been close to a year since we’ve seen some brand-new barrel-aged bottles from Microbrasserie Trou du Diable, who are Quebec-based pioneers and contemporary masters of the art of tart and funk. That said, a couple of months back, the illustrious La Bretteuse did make a much-anticipated come back, sparking a bit of excitement in the local scene. This was especially important for me, as La Bretteuse originally dropped early-on in my craft beer days, when I first had a chance to taste its brilliance. Then, not long ago, they did a brewery-only release of their Blackcurrant barrel-aged sour, brewed in celebration of Moeder Lambic’s 10th anniversary. Shortly after that, two more dropped! Well, I managed to get my hands on all four of these wild bastards, and I’m super excited to crack them open to tell you all about it. Here goes. 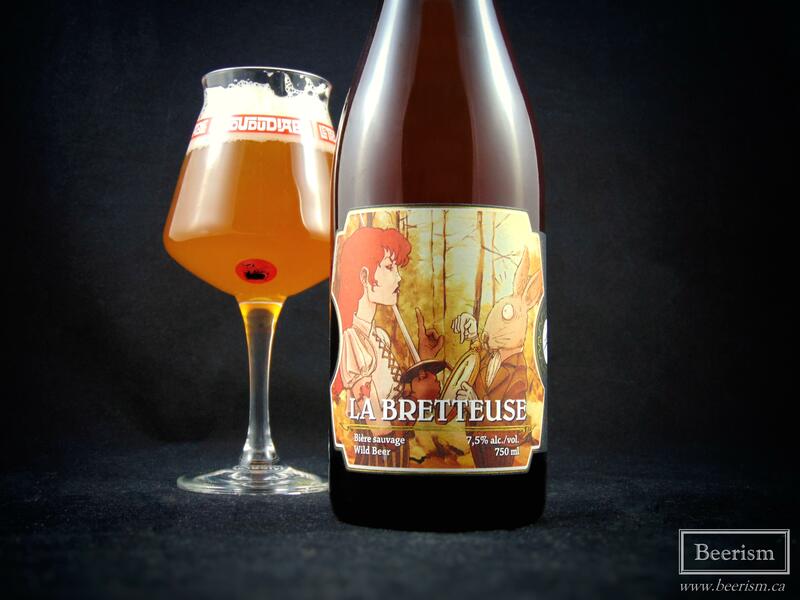 As I was mentioning, the infamous La Bretteuse finally made a comeback after about a four-year hiatus. It’s a barrel aged IPA, which sounds like a terrible idea, but trust me, the brettanomyces makes it gold. It also ages phenomenally. La Bretteuse 2017 pours out a foggy and bright orange colour carrying a perfect head that rests on top. The nose is a whirlwind combination of dusty brett funk, vinous soaked oak and fruity hops. It doesn’t carry that intense bright hop character you’d find in an IPA, but rather, a matured and rich profile that throws stone fruits into the bretty mix. Up front, this seems more vinous than I recall, carrying a potent tannin-rich tartness that cleans the palate on each sip. Like the nose, there is a wonderfully robust fruitiness here, showcasing plum, peach, melon, and grapefruit. There are also dry brett-induced phenols that add layers of dusty basement alongside light barnyard – working perfectly with the dank and vinous oak presence. 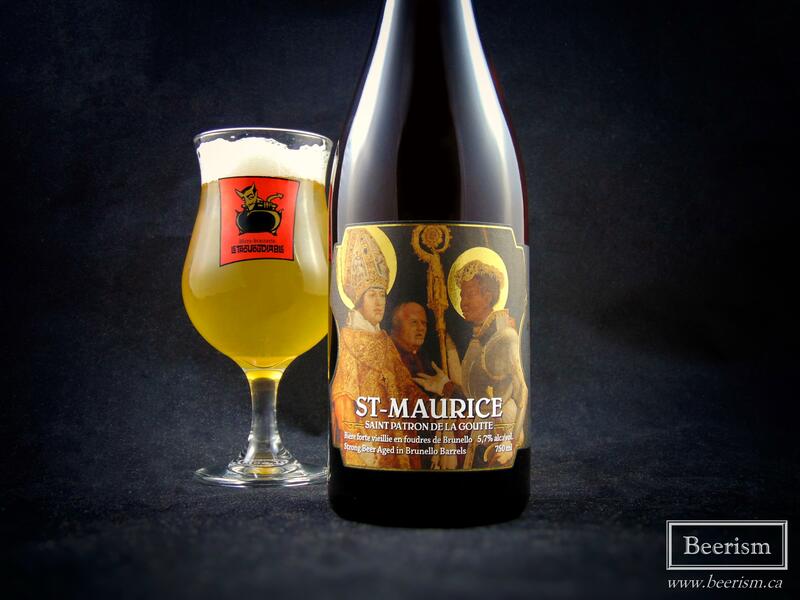 St-Maurice is a Brunello (Italian red wine) barrel-aged Saison. It had a wider release if compared to the other bottles being looked at today, as well as a lower price point. The nose is a gigantic brett bomb, with loads of dusty funk and musty basement. Next comes aromas of wine-soaked oak, carrying some light spicy complexity. It is fruity as well, with peaches and pears making themselves known. This is a pretty stellar nose. The palate matches, but perhaps a bit more restrained. The brett phenols and wine tannins are really apparent, creating an aggressively bitter finish alongside the hops, which all together creates a slightly aggressive astringent linger. It’s bone-dry, but there is still some fruitiness, with light pear and citrus creeping up. The oak is also quite potent, with lots of woody layers added to the mix. Overall this is a solid, extremely easy-drinking beer, but it comes off a tad thin. The nose is spectacular, even reminiscent of a Gueuze in some ways, but the palate fell a bit flat for me. That said, I liked it but I’d be curious how this evolves with a couple months on it. Moeder Cassis was developed in order to celebrate the 10th anniversary of a Brussels-based establishment called Moeder Lambic. It’s a blend of various red wine barrel-aged Saison that were then mixed with three hundred kilos of fresh blackcurrant juice and re-fermented in the bottle. It pours out a gorgeous ruby red, with lots of purple highlights. The head dissipates quickly, leaving a frothy baby pink coating atop. The nose is a complex mix of blackcurrants and tannic red wine. Lots of herbal notes emerge from the fruit, with mint in particular. The aromas carry jammy and juicy elements as well, creating an exceptionally inviting experience. The palate matches accordingly, but with less herbal blackcurrant notes than the nose let on (a good thing for me). There is an almost kriek-like feel to this, with subtle blackcurrant spiciness in the backdrop. It is more tart than sour, with loads of fruit tannins and a lingering dryness on the palate. There is a jammy quality for sure, holding a plethora of berry-forward flavours and red wine lusciousness. The oak is present, but not overbearing, and overall the balance is really on point. The beer is not too dry and not too fruity, rather, it’s just right. The carbonation is understated, but still present, adding the perfect level of creaminess. This beer was impressive. The palate matches, with layers upon layer of complexity. Off the bat, there are rich vinous flavours, that showcase the apparent oak funk. It’s acidic and tart, but balanced and not challenging to drink. The bigger body and higher ABV help balance the acidity and adds a nice richness to the whole thing. I’m not big into sours on the higher alcohol spectrum, but the 9% fits here, not being particularly apparent, while also adding a touch of sharpness to help dry things out. 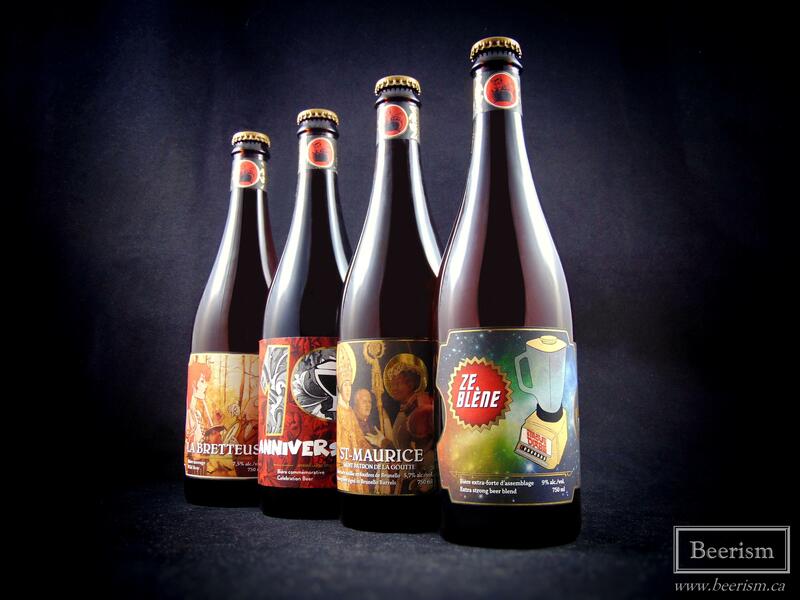 Well, there you have it, four pretty damn exceptional barrel-aged beers from Trou du Diable. I was worried that La Bretteuse wasn’t going to live up to my memory of this illustrious beer, but it certainly did, and even surpassed it. And although St-Maurice didn’t rock my world, it was still solid and worth the price-point. 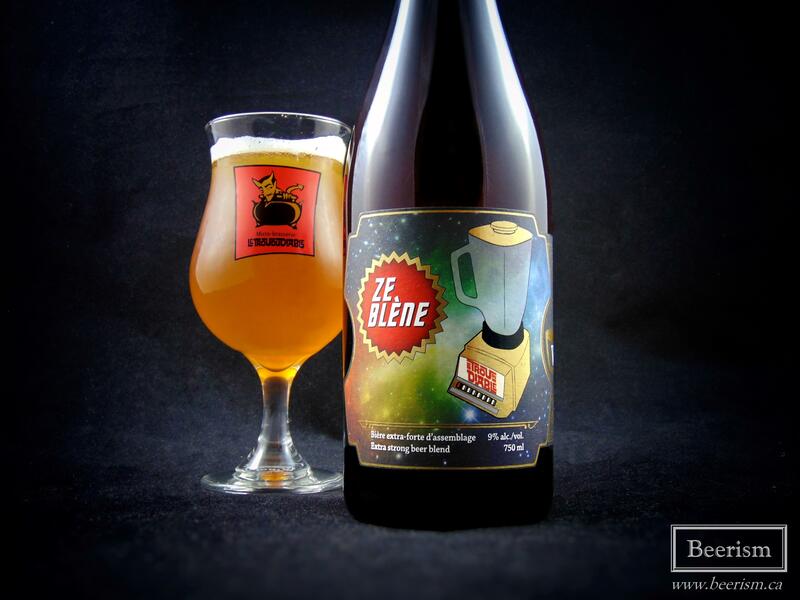 The Moeder Lambic tribute might have been my favorite fruited beer from this brewery and Ze Blène is a beautiful monster. Although there was a bit of social media controversy surrounding “tranquil” beers, Trou du Diable’s barrel program is clearly as tight as ever, and I think these bottles are the proof. Kudos. I very much enjoy Trou du Diable beers. Where in Montreal can I purchase these? They all sound pretty interesting! Ah darn, sorry to hear that. Well, I’ll keep my eyes peeled anyways. Thanks!